Thanks For A Fabulous Meal! – The Open Shelter, Inc. 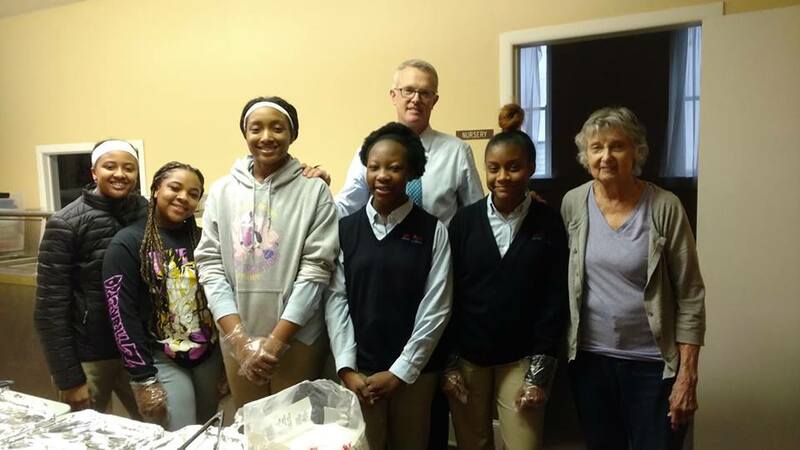 Thank you to Carol (far right) from Covenant Presbyterian Church, her son John and members of the Cristo Rey Columbus High School Girls Basketball Team for serving a delicious meal to those we serve! We are so grateful for the many volunteers and groups that make our Meal Program go. Without their help, this would not be possible.